2016 has been a wild ride. My first 100% handmade cosplay (Ashitaka) won first place at Renton City Comic Con​, and my casual Keith from Voltron​ kicked off this cosplay and prop business. I’ve made more bayards than I can count. I’ve learned SO much, from sewing to mold making and casting, to 3D design and printing. And I’ve met so many wonderful and helpful folks in the cosplay and prop community. I’m really looking forward to what 2017 has in store for me. I have more cosplays queued up than I can realistically get done, but that won’t stop me from trying. 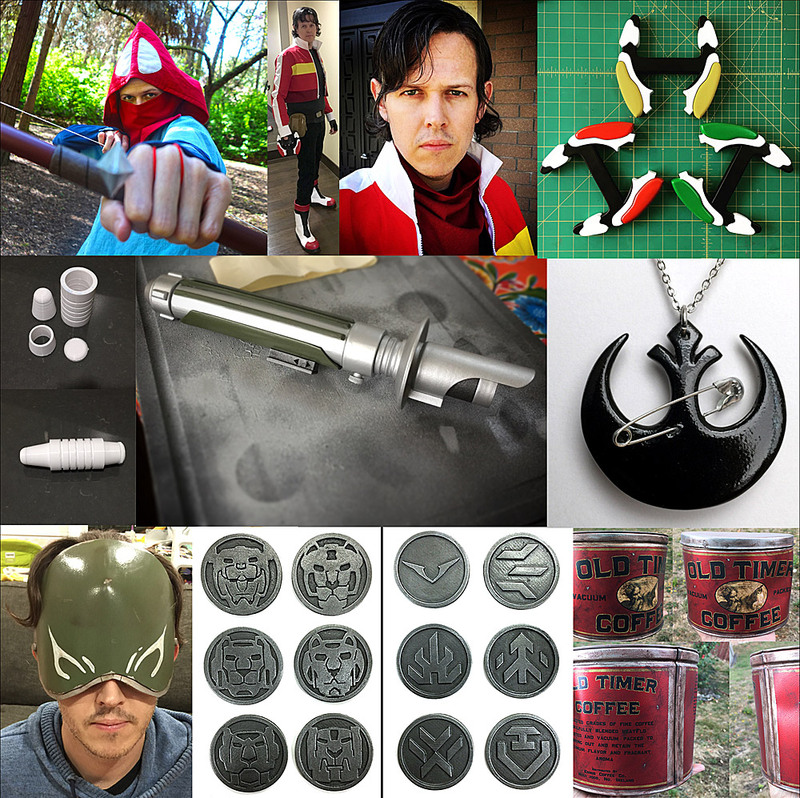 I also have a ton of ideas for more props to build and put up for sale in my store. And hopefully even more commissions will come my way (I have three on my table right now!) I also have a ton of stuff planned for videos, tutorials, workshops at Sodo Makerspace​, and even more for my Patreon backers. Special thanks to a couple of folks that have inspired me and/or helped me in one way (or many ways) or another: Bill​ and Brittany​ from Punished Props​, Eric​ from Coregeek Creations​, Beverly​ from Downen Creative Studios​, Charles​ from Ebony Warrior Studios​, Anabel​ from Men vs Cosplay​, and the Foam Friction Cosplay​ gang.